During my research for this article on William Sanderson I had to wade through a lot of sources including general genealogy books and town records as well as other blogs trying to decide if Robert Sanderson was in fact William's father, as is claimed by many, many people. I have wavered on this idea, back and forth. When I first wrote and posted this article, I said I did not believe it to be true, now I'm not so sure. If he was not the son of Robert, he was almost definitely related to him. There is no birth record for William and no document which would specifically point to his parents. Robert Sanderson did not name him as a son in his will, but he did name his son Joseph Sanderson of Groton. His Wife Elizabeth left some money to two of William's daughters, Mary and Lydia. Of note is the fact that Mary and Lydia were the names of Robert's first two wives. Update as of May 5th 2015: Robert Sanderson left a bequest in his will to William Sanderson, son of my nephew William Sanderson. So, there it is, hiding in plain sight for all to see. William Sanderson was the nephew of Robert Sanderson and not his son. In the genealogical books written at the turn of the century, one writer suggested that maybe William was Robert's son(Henry Bond: Genealogies of the Families of Watertown), and another that there was no proof. One other bit of telling evidence is that he, unlike all of Robert's sons, did not train as a silversmith. It seems unlikely to me that this would be so, but I wasn't there so what do I know. 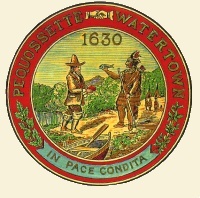 Robert left Watertown for Boston in 1652. Did William stay after Robert left Watertown, young unmarried men were not allowed to live alone, so who did he live with? I think that people badly want him to be Robert's son, and rearrange the facts to make their story fit. 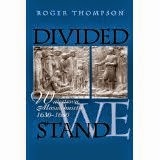 In his book about Watertown, Roger Thompson describes the "peopling" of the town. Many of the newcomers, those who came after the first two waves of migration, were extended family members of the original settlers. Also a majority of the population were originally for the East Anglia area of England. If Robert were from Norfolk, it makes sense that he would assist other members of his family to immigrate to Massachusetts. If William was not Robert's son, he might have been a cousin or nephew whom Robert assisted in immigrating. Update: So now we know that William was Robert's nephew. This brings us back to the William Sanders who was one of the original settlers of Hampton, first home of Robert Sanderson and his family. This William was a carpenter by trade. Was he the one under contract to Bellingham and Gibbons in 1636? Did he settle in Hampton prior to Robert's arrival? Did he marry there and have a son, William Jr? Did he die and William Jr. was raised by his Uncle Robert? After taking the oath in 1652, William disappears from the records until his marriage in Watertown to Sarah Unknown on Dec 18, 1666. In the records Williams surname is spelled Sandors, Sanders and Sanderson. There are no clues about the surname of his wife Sarah to be found. Many internet tree say it was Marr, but I do not know where they come by this name, there does not seem to be any Marr's in Watertown. The births and baptisms of his children are recorded in the Watertown records. His name is also mentioned in a Middlesex County Court record dated Oct 1668. He testified in the drowning death of the son of Thomas Hastings. Sarah was a member of the church, but it seems that William was not. When the children's baptisms were recorded the records say that Sarah "owned the covenant" meaning she was a full church member, William was not identified as a church member. Groton is a town north and west of Watertown. It was incorporated in 1655. A large number of early proprietors of Groton were from Watertown. On November 25, 1670 John Morse the town clerk of Groton recorded the sale of 20 acres of upland by Abraham Parker to William Sanderson. William "Sanders" is recorded in the early records of as one of the first 73 heads of families in Groton. 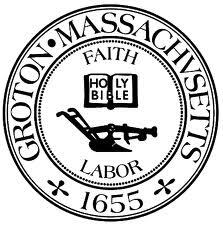 On March 13 1676 the town of Groton was burned to the ground, save four garrison houses, and was abandoned until 1678. In 1681 he was charged a rate for payment of the ministers salary, so presumably he returned after the end of King Phillip's War and the hostilities by the Indians. On July 27th 1694 a band of Abenaki warriors attacked the town of Groton at dawn. 20 of the townspeople were killed and 12 carried of into captivity. One of those killed was William Sanderson. He died without a will, but his son William Jr. probated his estate. His estate was not a large one, valued at 54 pounds. He did not appear to own or sell land in Watertown prior to his relocation to Groton. If Robert Sanderson was his father he did not seem to profit from the relationship. William born 1670 married first Abigail Traine and second in 1704 Anna Shattuck. They married in Watertown but settled in Sudbury. 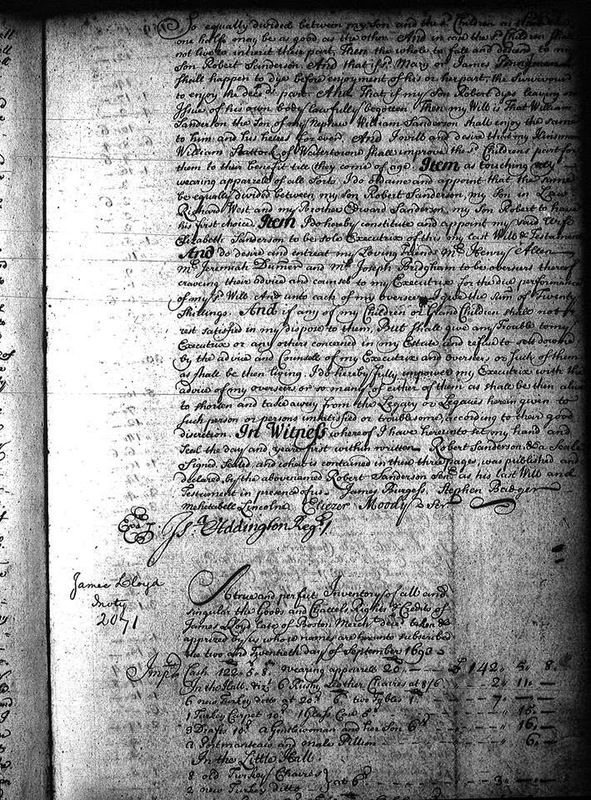 Joseph married Sarah Page in Groton on 30 July 1714. On 30 August 1714 Bethia Kemp had a child out of wedlock and named Joseph Sanderson as the father. Joseph died in Groton 1736.